A loose, fast board for real waves. Quads are different from three fins in a number of ways. 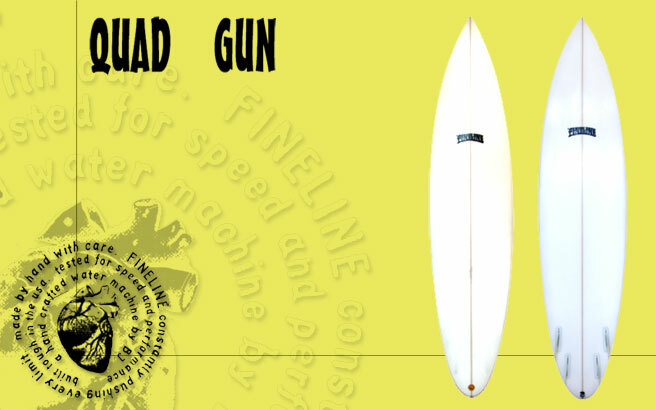 Naturally fast (duh) and quick from rail to rail, I template quads with more “ear” in the outline and a bit more mass forward to add drive that can get lost with the lack of a middle fin. The Future “Quad 1” fins provided furnish major drive and stability. For a more neutral feel, use a front fin without the “Fishhook” template. Try an F4 or F-EA.